Indeed it is a calamity outside the month of Ramadhaan (let alone within it!!) that this person takes so freely to his keyboard and computer carrying out such repugnant actions. His attempt to defame Al-Markaz As-Salafi is only due to his own whims and desires. He attempts to spread evil suspicion, false stories and half-truths and stitch together a weak spider’s web; creating a version of events that is in agreement only with his desires; and far removed from reality. This is the state of affairs of this particular Leading E-mail shaykh (Hajoori Fanatic) who has returned to trouble the people… Even in in this blessed month of Ramadhan… Spreading tales about Al-Markaz As-Salafi; seeking by way of it to taint the Dawah in Manchester and blame Al-Markaz As-Salafi and others for his own inability to submit to the truth. Indeed, his clinging onto Yahyah al Hajoori Al-Haddaadi Al-Mubtadi has blinded and removed all sense of justice in dealing with those who transmit the verdict of the scholars against him. The first of those fabrications pertains to the masjid allegedly inviting a takfeeri to make Ruqya in the masjid and charge for it! It is as though he has repeated the same lie enough times (to himself and others) and has ended up believing it! 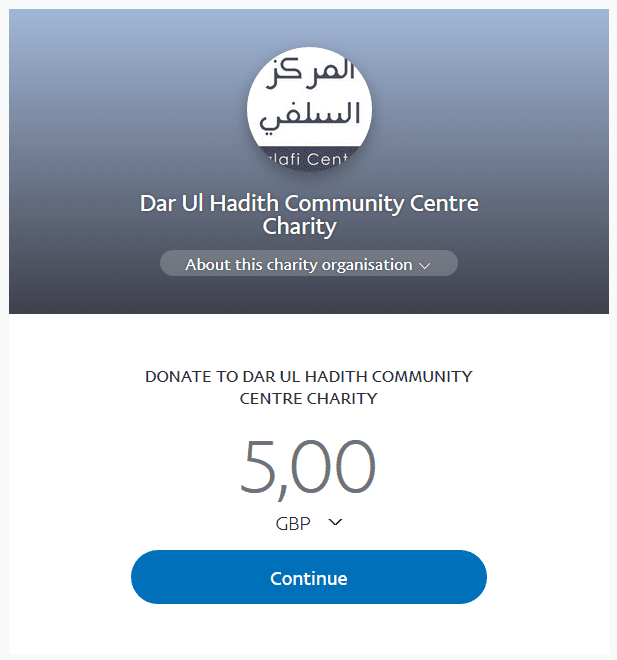 This slander began a while ago with “I recently came across an event which is going to take place in the vicinity of the Mosque;” but then spiralled and grew to finally becoming one of the masjid’s alleged “crimes against Salafiyah… bringing a Takfiri to do ruqyah in their centre…and charge £50.” This fictitious event (which is reality in his mind) is just one of those many things generated due to rage at his teacher being refuted by the scholars; verdicts that were posted on this and many of the websites of the Salafi Centres and Masaajid around the country. So instead of accepting the knowledge based refutations of the scholars and the students against Hajoori, this leading email sheikh [Hajoori fanatic] clings onto a fictitious affairs which he believes are real crimes committed by Al-Markaz As-Salafi. We seek Allaah’s protection from exaggeration, bigotry, fanaticism, slander and recklessness.